An arc-fault is an unintentional arcing condition of the electrical current in a circuit. Arcing creates high intensity heating at the point of the arc resulting in burning particles that can exceed 10,000 degrees Fahrenheit and may, over time, ignite surrounding material such as wood framing or insulation. There are two types of potentially dangerous arcs, series arcs and parallel arcs. 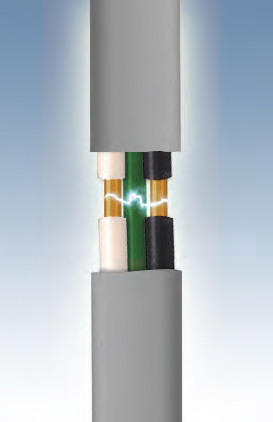 A series arc can occur when wiring or cords become unintentionally broken or frayed and the conductor wire, the one that carries the electricity, has an exposed or un-insulated gap. A dangerous heat source could ignite from this condition. A parallel arc can occur when a wire's insulation is cut into the wire by a nail or staple or if an appliance cord is sliced or damaged by an object such as a table or chair. The U.S. Fire Administration (USFA) National Fire Incident Reporting System reported that in 2011, an estimated 47,700 home structure fires reported to U.S. fire departments involved some type of electrical failure or malfunction as a factor contributing to ignition. These fires resulted in 418 civilian deaths, 1,570 civilian injuries, and $1.4 billion in direct property damage. According to the National Fire Protection Association (NFPA), arc-faults are "the principle electrical failure mode resulting in fire". Within walls from nails, screws or staples inadvertently driven into wires. Through old or cracked wires or cords. At loose electrical connections or cords damaged by doors closing on them. Through wires or cords damaged by heat, sunlight or humidity. Within electrical cords accidently damaged by furniture resting or pressing upon them. 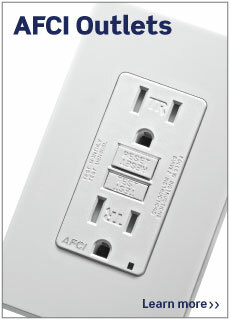 An Arc Fault Circuit Interrupter (AFCI) Outlet is an important addition to a home's electrical system because it is designed to recognize many types of potentially dangerous arc-faults and respond by interrupting power to help prevent arc-faults that may lead to a fire. 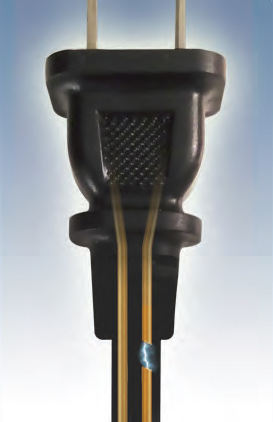 AFCIs reduce the chances of the electrical system BECOMING an ignition source of a fire. They are now required by the National Electrical Code® in many areas of the home including bedrooms, family rooms, dining rooms, living rooms, sunrooms, closets, hallways and similar rooms or areas.